When you are shipping something, make sure you package it right. If you’re uncertain on how to do that, leave it to the professional packing experts at your Postal Connection Store in Lancaster, PA.
A TV producer sent 200 DVDs to California but only six made the conference attendees that were waiting for all 200. The recipient said the first of the two packages with the DVDs arrived damaged. It appeared that along the way, it burst open. It ended up full of assorted junk (possibly from another package?) and got resealed with the six DVDs inside and a generic note from the postal service saying the package had been damaged! A purchaser of more than 45 name-brand baby clothes from eBay found a large hole in one corner of the package and 41 pieces removed. In their place, sat an empty can of chewing tobacco. An artist shipped a painting to New York for a show about pollinators where the artistry was limited to bees, birds and butterflies. No one bought the piece so it got shipped back to her. Disaster! The box was crushed and so was the artwork. The painting frame cracked and could not be repaired. The total loss was over $400. 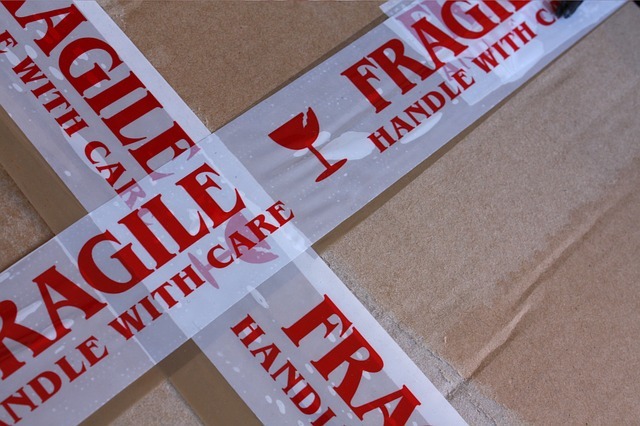 If you purchase insurance on shipping you can recoup losses, but this is not the point, is it? In most cases, the purchaser is looking forward to receiving the item being shipped and the sender wants it to arrive intact, not be reimbursed because it didn’t. A couple of things to know about the art of packaging is that scotch tape is inappropriate as a packaging tape and newspapers are not the best cushioning material. Also, make sure that the package contents are not too heavy for the box thickness. Better yet, let Postal Connections Lancaster, PA handle the packing and shipping!